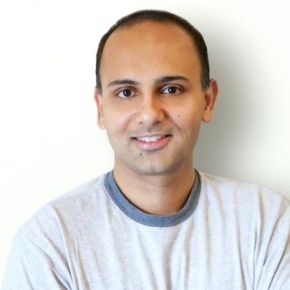 Sridhar is the founder and CEO of Elemental Machines. He previously was a founder and director of Misfit, makers of elegant wearable products, which was acquired by Fossil in 2015. Sridhar also founded AgaMatrix, a blood glucose monitoring company that made the world’s first medical device connecting directly to the iPhone and shipped 15+ FDA-cleared medical products, 2B+ biosensors, 6M+ glucose meters, with partnerships with Apple, Sanofi, and Walgreens. Sridhar holds over 30 US and international patents and received his Ph.D. from Cambridge University as a Marshall Scholar. He has been known to run 13.1 miles on occasion and has sometimes been spotted on stage behind a wall of drums.